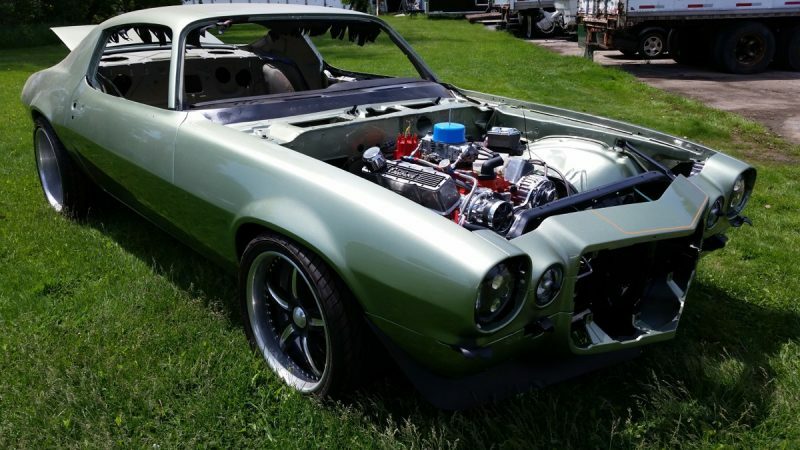 Hot Rob’s new project with us is a 1970 Camaro RS SS. This car has went the direction of pro touring with Rob’s vision of a daily driven 70. We are setting this car apart with custom flared fenders to fit a lower ride height stance and changing a few exterior components. This car will be fitted with Forgeline wheels in a smoke color. We have installed a 383 stroked sbc and a 700R4 transmission. This project will be altered in a few phases adding twin turbos in the future! The rear axle is a strange prepped dana 60. This is definitely a “flag ship” car at true driver level for the shop! Thanks for the friendship BIG Rob!